The final stages of any real estate transaction is the offer. This is when the search process ends, hard work (due diligence) comes into play, and the best possible offer is curated and presented to the seller. To ensure success, there are some fundamental components a first-time homebuyer should considering when putting together their bid. In part one of our Guide For The First-Time Homebuyer, we discussed how to prepare for the home purchase offer by evaluating the property, uncovering the seller’s motivation and creating a market strategy. In part two, we’ll go through the offer itself and explain what a first-time homebuyer can expect in the negotiation process, and how to recover if the offer doesn’t get accepted. Writing an offer is the final push in a homebuyer’s quest to purchase a home. This is the stage of no return and therefore requires careful consideration and planning in order to achieve the ultimate goal of getting the offer approved. For first-time homebuyers, this begins with understanding the current market conditions in your submarket. Markets will vary from city to city, neighborhood to neighborhood, and buyers need to examine what kind of market they’re in: a buyer’s market, a seller’s market, or a balance of both. Buyer’s Market: A buyer’s market means there are more homes for sale than buyers to make offers, which makes it harder for properties to sell. Because of this, a buyer’s market is an ideal setting for homebuyers as it provides many perks not commonly available. Seller’s Market: A seller’s market is when the number of buyers is higher than the amount of real estate available. With the majority of the leverage in the seller’s hands, a first-time homebuyer should act fast in a seller’s market and present what is known as a “clean offer.” This typically means few contingencies are included in the offer and the asking price is mutually agreed upon. Balanced Market: A balanced market consists of an equal flow of available homes and buyers, and this is typically when the majority of counteroffers occur. A balanced market will afford homebuyers the opportunity to offer less than the asking price and request terms that will benefit you. 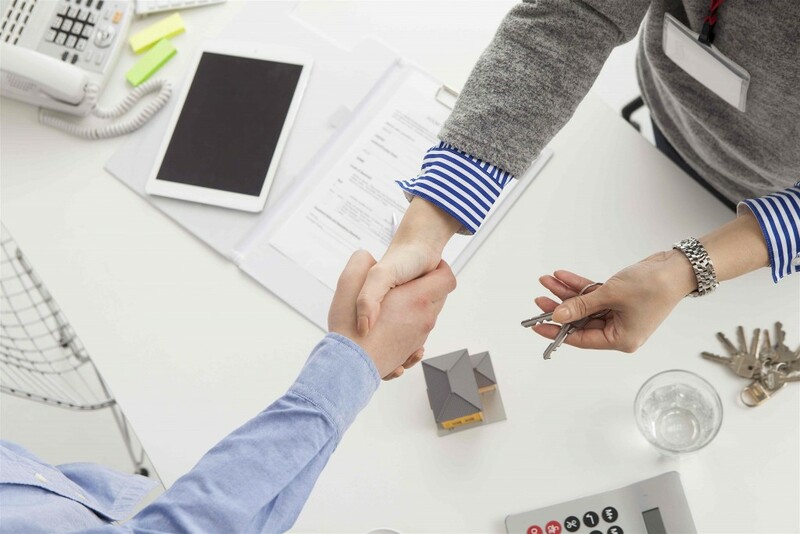 As beginner homebuyers, it’s important to also understand that your offer approach will differ significantly depending on market conditions –- as this is the single most important factor in the negotiation strategy. Once market conditions are understood, the next step for potential first-time homebuyers is to conduct a comparable sales analysis. Generally speaking, a comparable sale is used to obtain an understanding of what the market says is a fair price for the home in question. This is determined by matching the property with homes similar in location, size and amenities. Once you know what the market says is a fair price, you can start to draft your ideal price. At this stage, it’s important as a first-time homebuyer to finalize the maximum dollar amount you’re willing to spend. This will save you an immense amount of money if a bidding war ensues later on. Financing Contingency: This clause states the offer is contingent based on the buyer’s ability to secure financing for the amount of the offer, as well as terms specified. This basically protects the buyer in the event their loan isn’t approved. Appraisal Contingency: This ensures the fair-market value of the home, including the appraised value is equal to the sale price. If not, the buyer has an option to back out of the deal. Buyers will often waive this contingency in a seller’s market. Selling Contingency: This essentially provides the buyer an option to back out of the deal if they cannot sell their current residence. Than Merrill, CEO of FortuneBuilders, recommends adding a home inspection contingency to an offer, especially in a seller’s market when time is limited. “Typically, a home inspection can add somewhere in the neighborhood of 10 days onto a sale, providing buyers with enough time to get everything in order,” says Merrill. “Use this time to make sure everything is as it should be. If done correctly, an inspection contingency should be all you need to close a deal, and the seller will certainly appreciate the absence of more contingencies. In a seller’s market — which is highly competitive among buyers –- contingencies should be used sparingly and kept standard. It’s important for a first-time homebuyer to understand that contingencies are not viewed universally. Buyers and sellers have completely different perspectives on contingencies, and many times these clauses can have adverse effects on the deal. “Sellers do not view contingencies in the same light as buyers, but rather as an additional obstacle preventing them from doing the one thing they desire most: close a deal,” says Merrill. The sooner first-time homebuyers familiarize themselves with contingencies, the better their offers will be. Knowing what to use–and when to use it–can significantly improve a homebuyer’s chance of getting his or her offer accepted. Unfortunately in real estate, not every offer is going to be accepted and it’s critical to have a strategy in place in the event your offer gets rejected. In most cases, a counteroffer will need to be made. This will typically include a new price, different set of contingency dates or a bigger earnest money deposit. The due diligence performed prior to making an offer will provide a better understanding of what needs to be addressed in your counteroffer. Usually, it can entail failing to find the seller’s motivation, not selling the seller or a lack of negotiation. There is no scientific method to creating a counteroffer, but a first-time homebuyer can use this experience to better prepare for their next offer. Losing a deal isn’t the end of the world; there will always be a handful of deals ripe for the pickings. However, as a first-time homebuyer, it’s important to learn from these lessons and take them into the next deal.